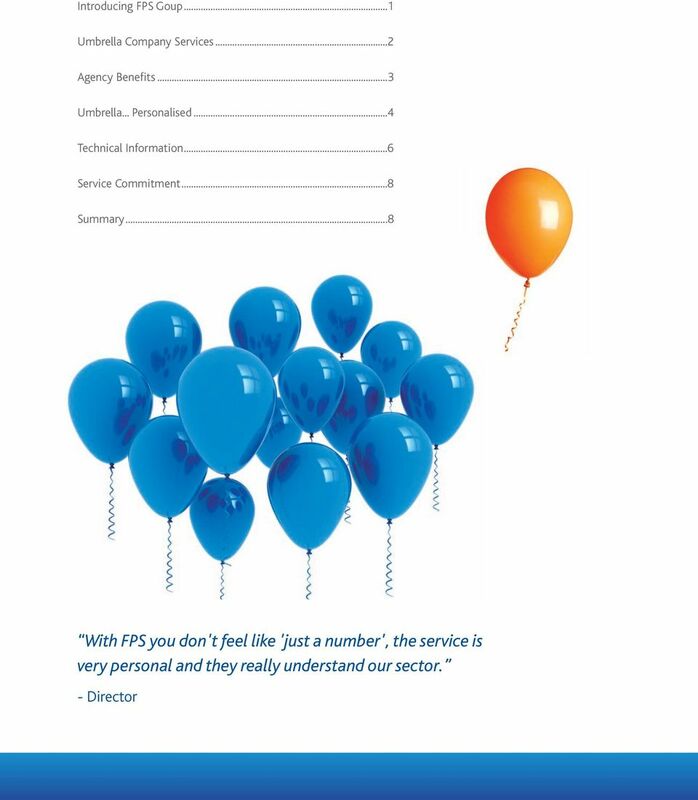 Download "With FPS you don't feel like 'just a number', the service is very personal and they really understand our sector." 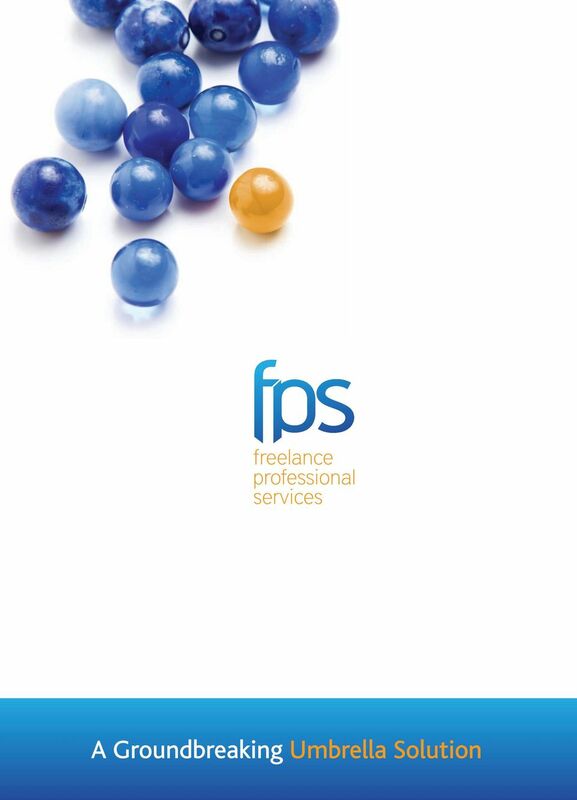 12 Agency Commissions We can offer an array of commission agreements to meet your changing needs. Which one of these options best suits your business needs? 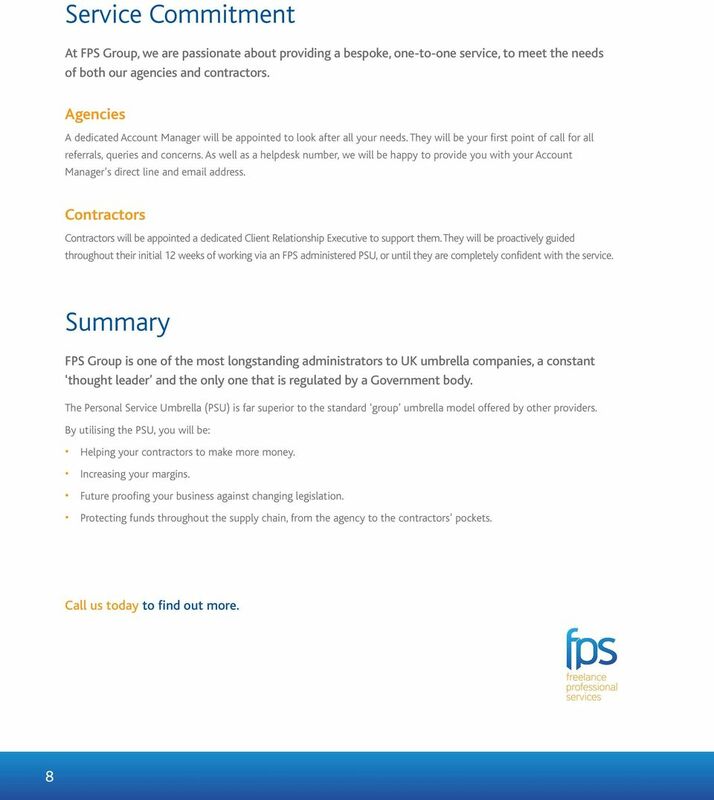 Introducer Commission We can provide fixed introducer commission agreements for agencies and consultants. 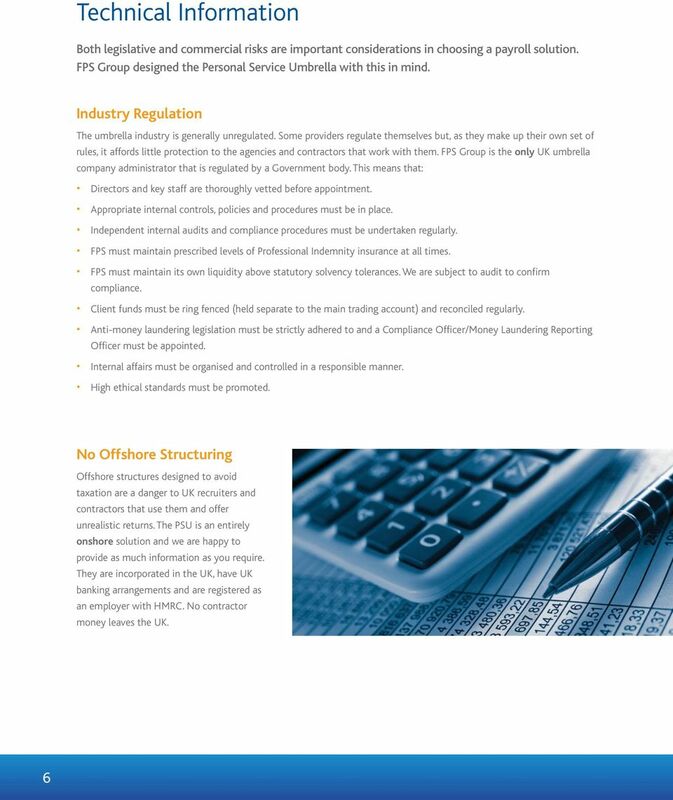 Introducer fees will be payable once an introduced contractor has received their 2nd payment through their FPS administered umbrella company. Rates and methods of payment are negotiable. 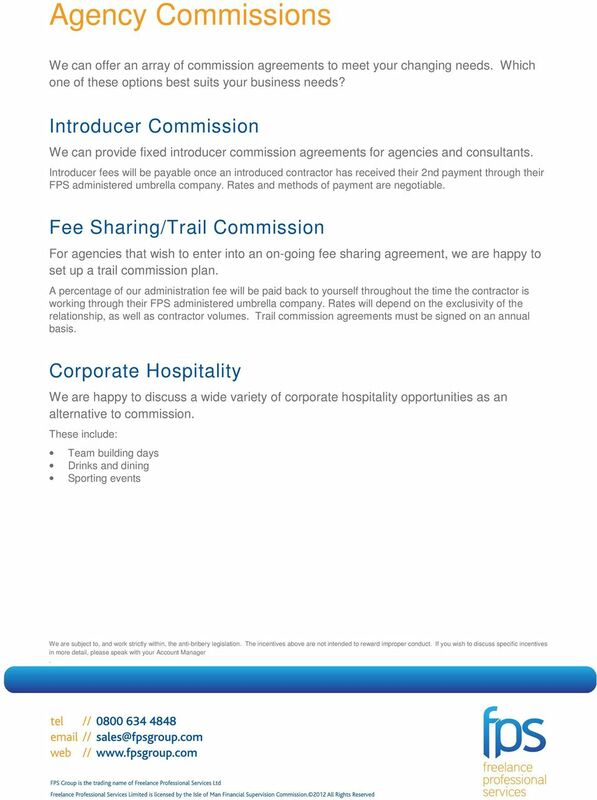 Fee Sharing/Trail Commission For agencies that wish to enter into an on-going fee sharing agreement, we are happy to set up a trail commission plan. 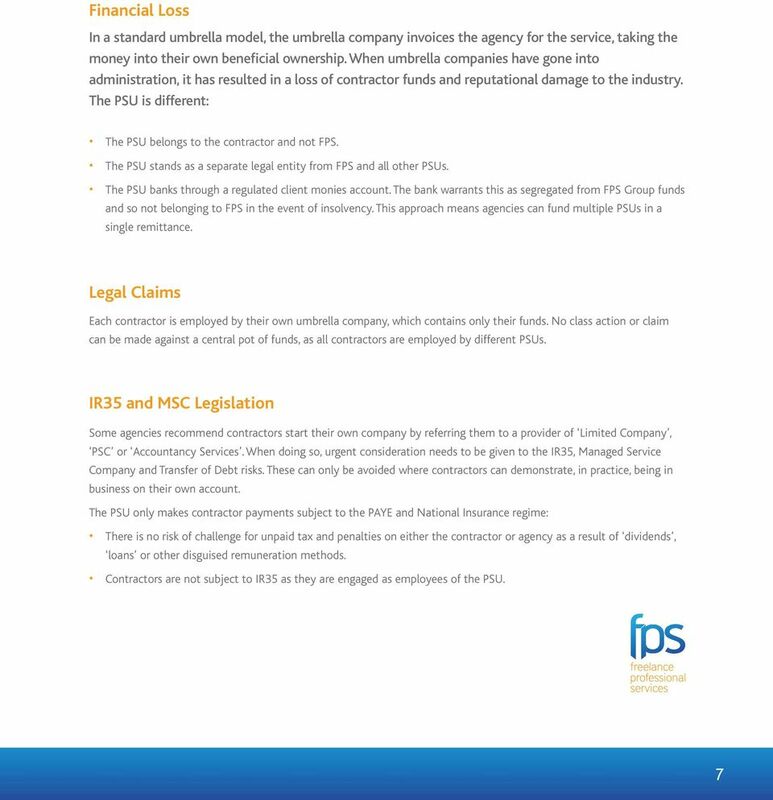 A percentage of our administration fee will be paid back to yourself throughout the time the contractor is working through their FPS administered umbrella company. Rates will depend on the exclusivity of the relationship, as well as contractor volumes. Trail commission agreements must be signed on an annual basis. Corporate Hospitality We are happy to discuss a wide variety of corporate hospitality opportunities as an alternative to commission. These include: Team building days Drinks and dining Sporting events We are subject to, and work strictly within, the anti-bribery legislation. The incentives above are not intended to reward improper conduct. 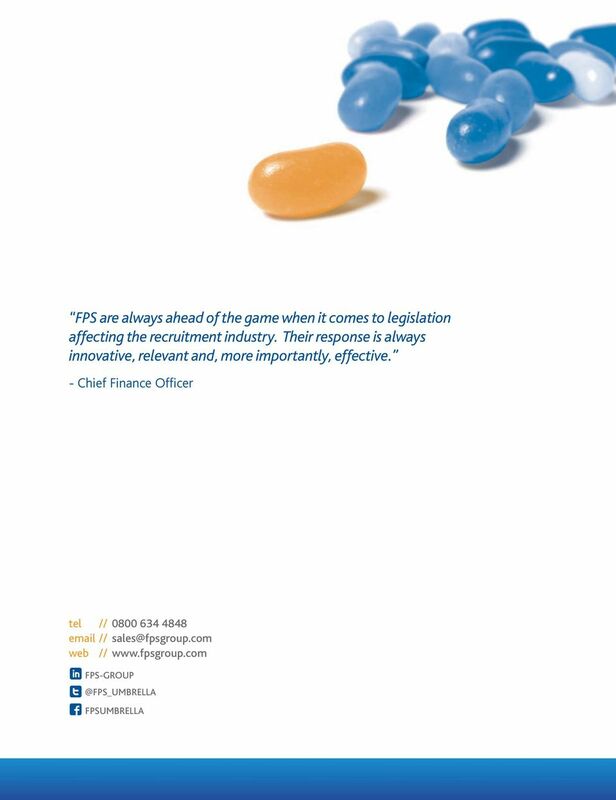 If you wish to discuss specific incentives in more detail, please speak with your Account Manager. 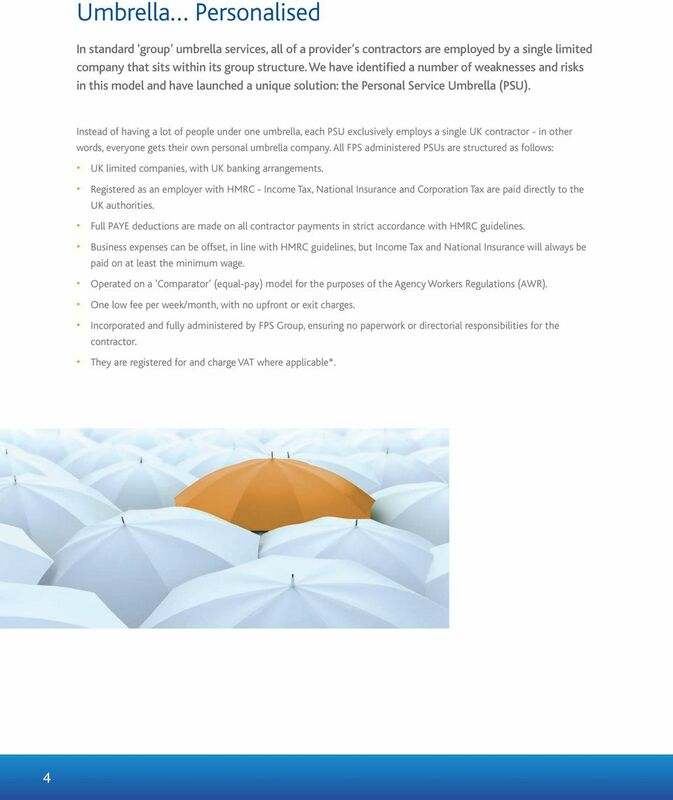 13 Information for Contractors FPS Group s Personal Service Umbrella offers a convenient and reliable way to be paid whilst you work on contract. 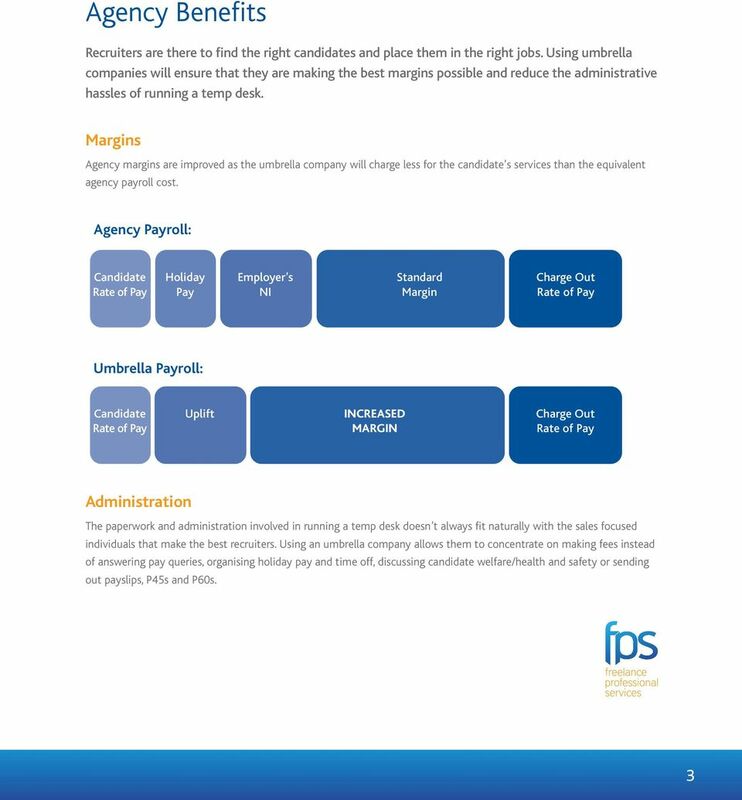 Furthermore, business expenses can be processed, making it a more tax-efficient alternative to being paid on your agency's payroll. 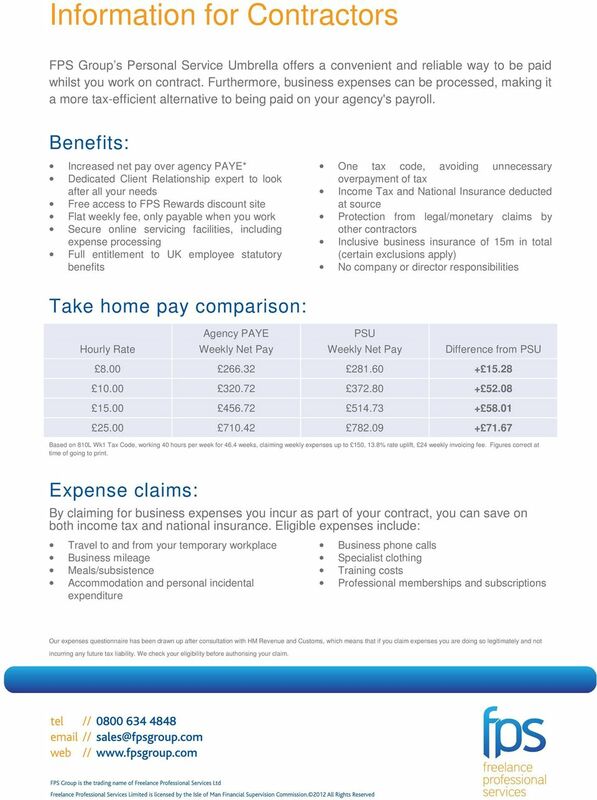 Benefits: Increased net pay over agency PAYE* Dedicated Client Relationship expert to look after all your needs Free access to FPS Rewards discount site Flat weekly fee, only payable when you work Secure online servicing facilities, including expense processing Full entitlement to UK employee statutory benefits One tax code, avoiding unnecessary overpayment of tax Income Tax and National Insurance deducted at source Protection from legal/monetary claims by other contractors Inclusive business insurance of 15m in total (certain exclusions apply) No company or director responsibilities Take home pay comparison: Agency PAYE PSU Hourly Rate Weekly Net Pay Weekly Net Pay Difference from PSU Based on 810L Wk1 Tax Code, working 40 hours per week for 46.4 weeks, claiming weekly expenses up to 150, 13.8% rate uplift, 24 weekly invoicing fee. Figures correct at time of going to print. Expense claims: By claiming for business expenses you incur as part of your contract, you can save on both income tax and national insurance. Eligible expenses include: Travel to and from your temporary workplace Business mileage Meals/subsistence Accommodation and personal incidental expenditure Business phone calls Specialist clothing Training costs Professional memberships and subscriptions Our expenses questionnaire has been drawn up after consultation with HM Revenue and Customs, which means that if you claim expenses you are doing so legitimately and not incurring any future tax liability. We check your eligibility before authorising your claim. Accounting and administration. 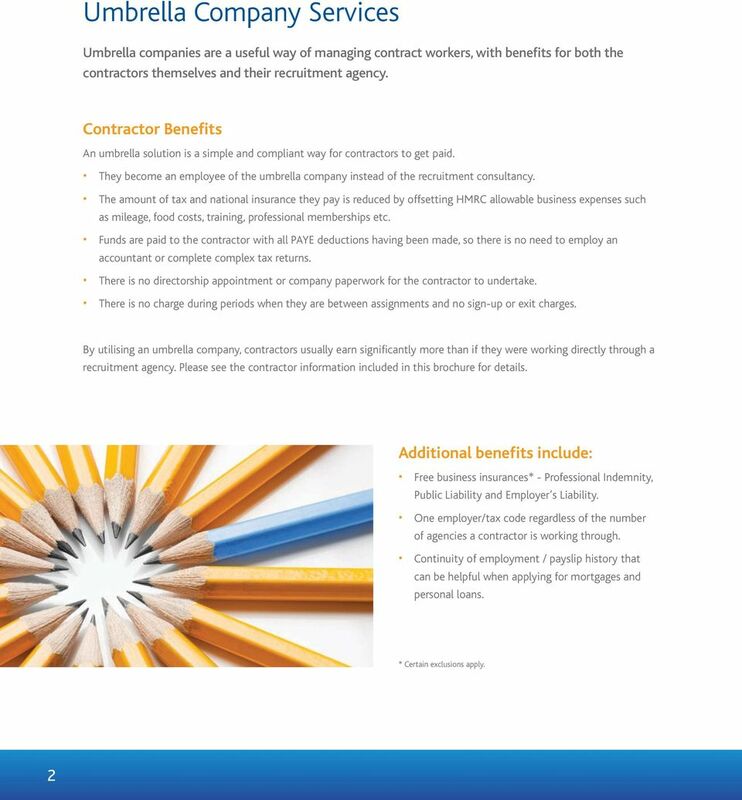 for contractors OVER 10 YEARS OF STRESS FREE CONTRACTING THINK ICS. 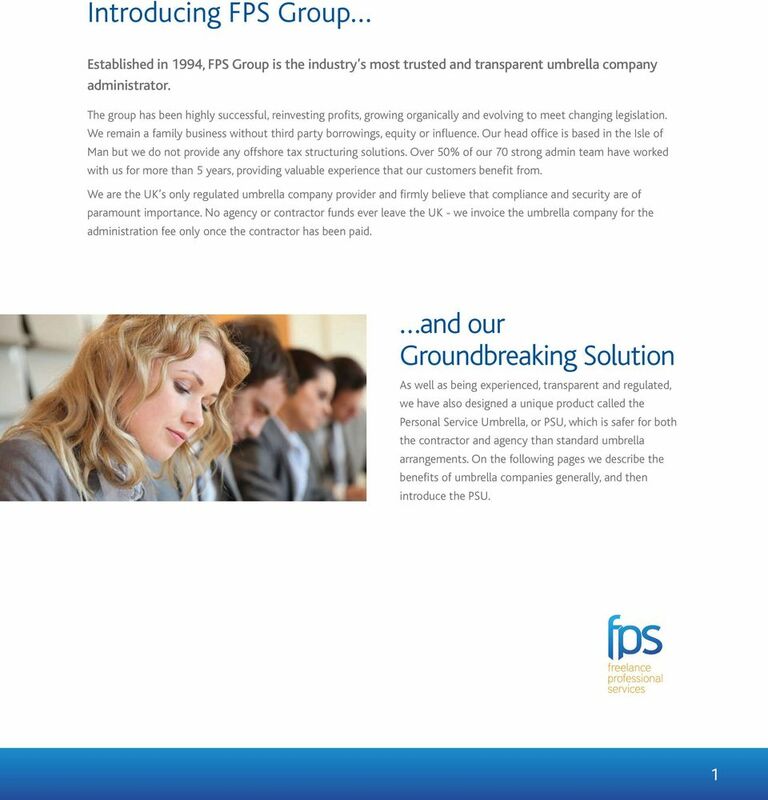 Could a PSL benefit your business? sure every security guard is HMRC compliant and pays taxes? About us. 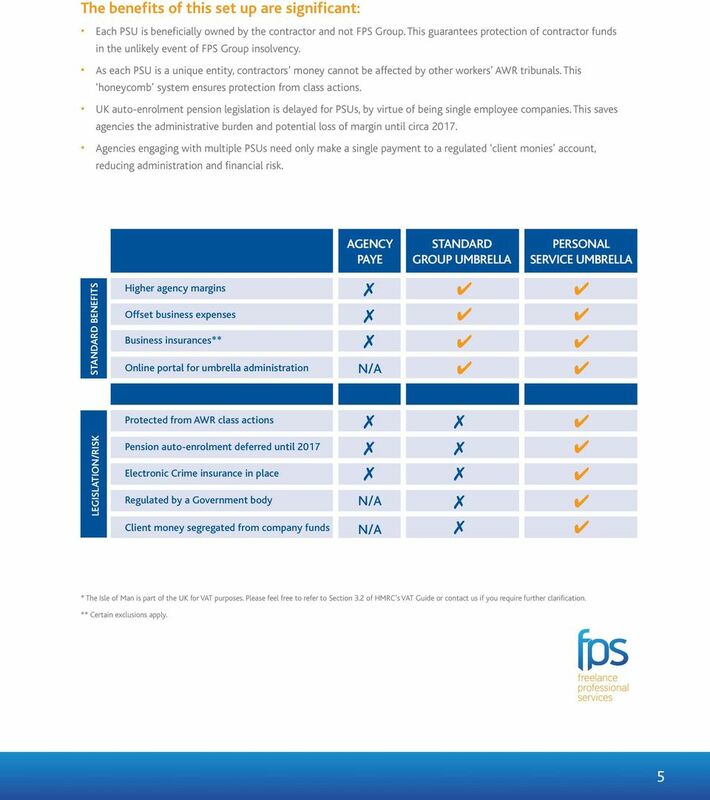 History of Auto Enrolment. When is this happening? Does this really apply to our company?